The reason I wore a Klutz shirt at the Reno Championships medal ceremony is mainly because that is where my Saturday juggling club meets. We have a great time, and I've been going there for about 4 years now. 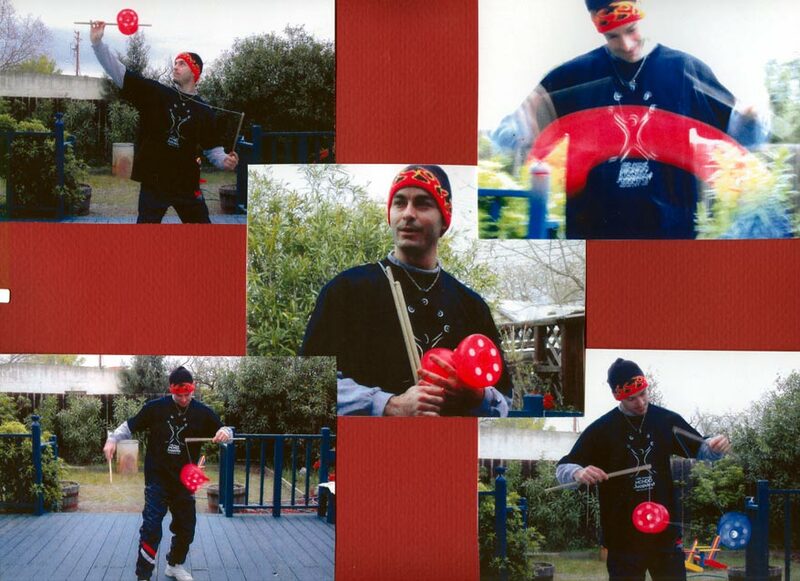 One of the jugglers, Bill, used to work there and he asked me to teach diabolo workshops from time to time to the general public. I was so flattered at being asked that I always said yes and never asked about money. 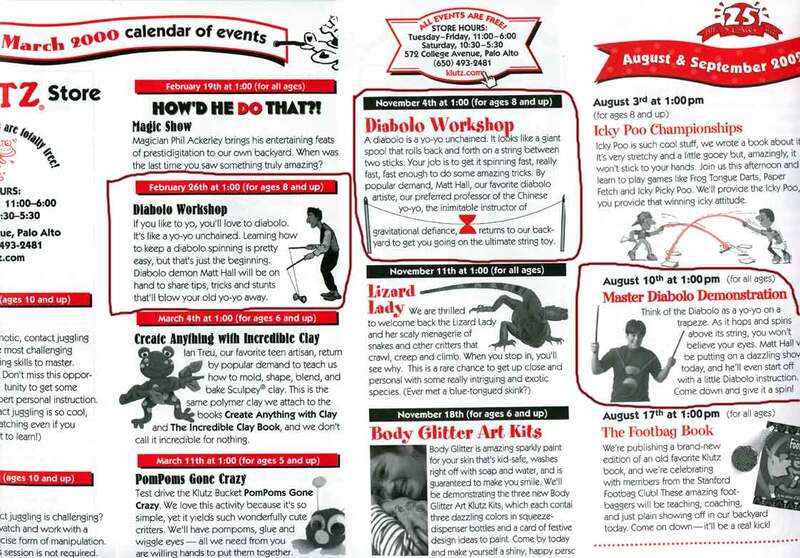 I did get a free Klutz shirt though.....Here are some flyers advertising me as, among other things, the "diabolo demon." I went to the park one day with Lisa and we were messing around (juggling, that is) when this lady walked up and asked to take my picture. I said sure. It turned out she was shooting for a local paper's "Day in Palo Alto" theme. 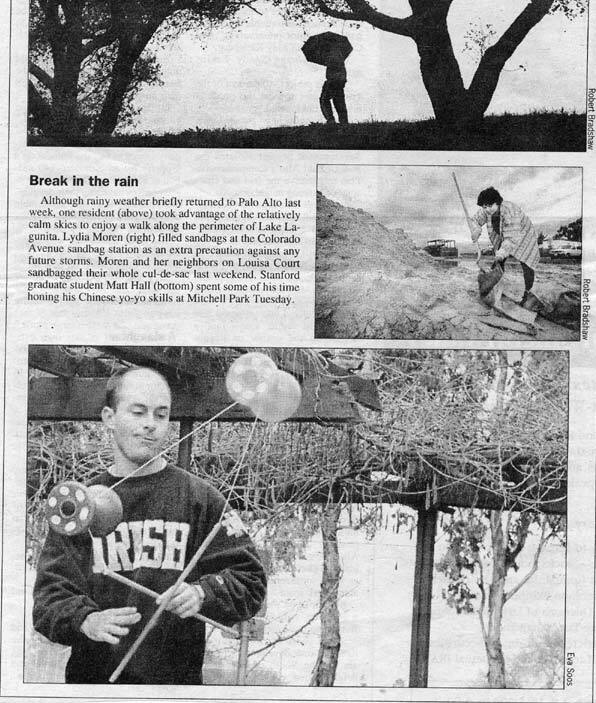 My picture actually went into the spread, which is funny considering we don't live in Palo Alto. We live in Mountain View. This picture also added to my sticking-out-the-tongue-while-juggling neurosis.